Welcome to the Garage Sale! 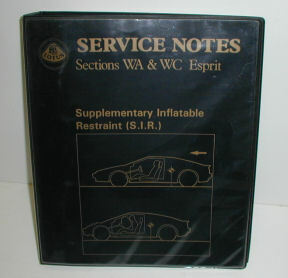 After being in the Lotus parts business for over 40 years, you accumulate a lot of "stuff." Bit by bit I'm going through this "stuff" and it will be posted on this page. Items will be added whenever I get a chance, so check back often. In many cases there's only one of an item, so contact me right away if you're interested. And I'll try to be prompt about updating the page when an item has been sold. In many cases we are open to offers to parts listed on this Garage Sale page. Phone or write if you're interested in a part. 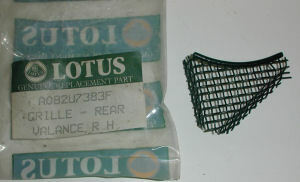 Chrome-framed ashtray, black leather insert, for Lotus Excel. 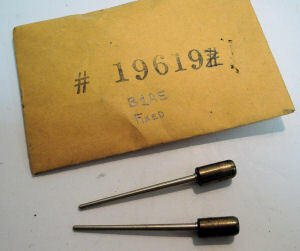 NOS original part. Used canister in good condition. 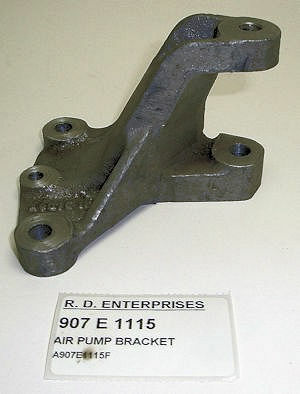 This is an original "AC Made in England" part, bead blasted with minimal rust damage. Not painted. Used canister in excellent condition. This is an original "AC Made in England" part, with good sound metal all around. Finished in a silver galvanized-look. Large more-detailed photos available upon request. 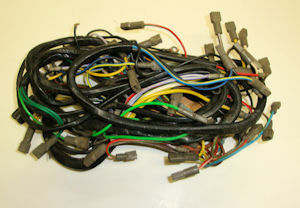 NOS facia wiring loom for Elan +2S from Jan.1970 7001020001. This harness has three white block connectors: one with 12 connectors, two with 6 connectors each. Check your harness to see if this is the facia harness for your car. 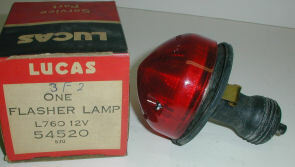 NOS Lucas side lamp #52134, model 1130. This is a genuine Lucas "Made in England" lamp in very good condition. 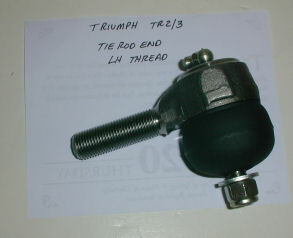 This lamp is used on Lotus 7, Morgan and MG-T series. New and used parts from Lucas 52134 (model 1130) lamps: two used housings, two used lenses, two used bulb-holders, and one new bulb-holder with lens attached. 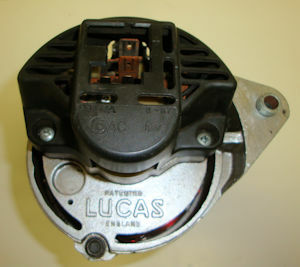 All parts are genuine Lucas parts, made in England. 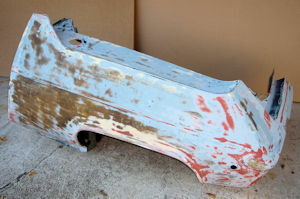 Used front bumper for Federal (USA) cars. Bumper has flats for mounting front side marker lamps. Decent condition, some cracking on underside at grille opening. Used frame is in good structural condition, chrome is poor/fair. None of these are perfect. Each lens has some scratch or manufacturing defect but these are the nicest lamps and lenses I've seen in decades. The bases are very good and of course have no rust or pitting. No, I don't believe that we will find some hidden stash of 36M6053 lamps to make pairs. NOS cam cover. Only one available. Damaged RH front corner with additional damage across the entire front. Wheel arches have been flared. No doors, bonnet or boot lids. Door openings, cockpit floor, tail and boot floor are intact. Additional photos on request. Original foam-filled bumper in sound condition but needs refinishing. 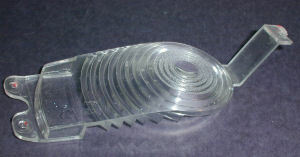 Original early bonnet lid with reinforcing ribs. This bonnet has been damaged, repaired, sanded through in two spots and has a piece of steel angle glassed into the trailing edge. The leading end of the bonnet is better. 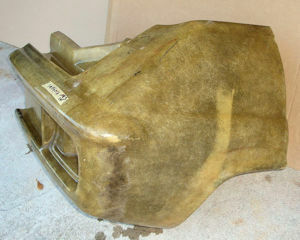 Used boot lid in good condition. 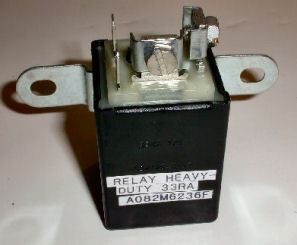 "Power Relay, Ignition and Auxiliary"
Overboost switch for 1988-92 Esprit Turbo. 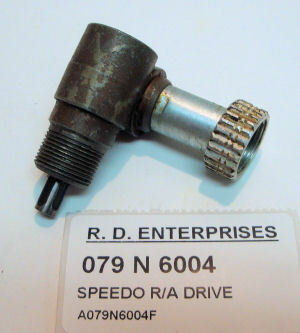 Speedometer right-angle drive, fits Esprit S1/S2. Cooling system expansion tank for Esprit Turbo 4-cyl from 1988 onwards. Grille for RH rear valance. Only used on the Esprit S2; measures @ 5" long x 1/2" wide. RH tinted quarter glass, fits Esprit S1, S2 and Turbo through 1987. Used glass in very good condition. 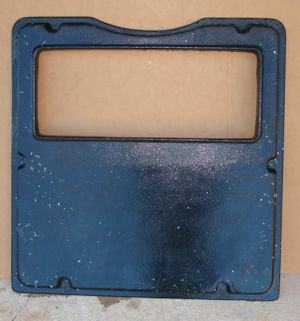 Rear license plate recess panel for non-Federal Esprit S2. NOS part. One available. 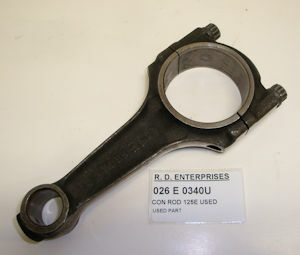 RH door hinge post for all Esprit S1, S2 and Turbo through 1987. Larger than the 1/4" Seloc washers used on the TC cam cover, these Selocs fit 5/16" fasteners. Use where you want to seal and lock a 5/16" fastener. 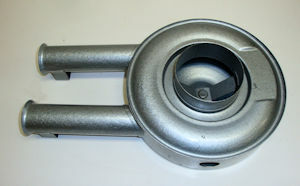 Left-hand front lamp base for airflow Cortina Mk1. Rim included. Lamp base is in good condition but has corrosion on outside. Rim is in poor shape. Right-hand front lens for airflow Cortina Mk1. Lens is used and has surface cracking as seen in the photo. Left-hand front lens for airflow Cortina Mk1. Lens is used and has surface cracking as seen in the photo. Right-hand front lens for airflow Cortina Mk1. Fits behind clear front lens. Lens is used and is in very good condition. 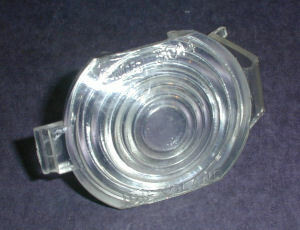 Left-hand front lens for airflow Cortina Mk1. Fits behind clear front lens. Lens is used and is in very good condition. Left-hand front lens for airflow Cortina Mk1. Fits behind clear front lens. Lens is used and is missing one tab. Otherwise this lens is in very good condition. Black fiberglass part has some white spots (you can see them in the photo) that do not wash off. 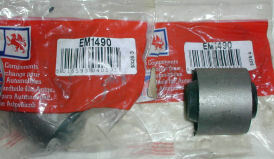 NOS front layshaft bearing listed for Elite only but probably used on the Plus 2 as well. 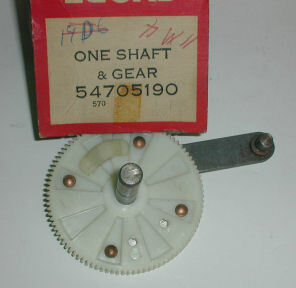 Bearing located between input shaft and 1st motion shaft. One available. 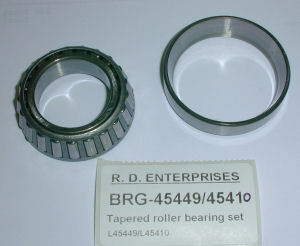 Roller bearing on 3rd motion shaft. One available. 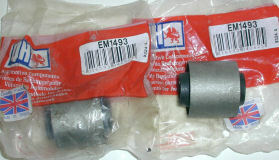 NOS tailshaft seal for automatic transmission, Elite. Used on Elite 5-spd gbx #A2016 onwards. Can also be used on earlier gbx with change of layshaft. Original standard size piston rings for 907 engine. 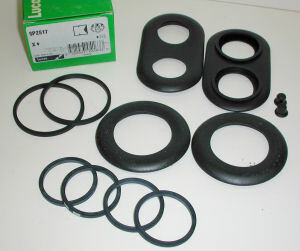 Set of four second rings A907E0402 and set of four oil control rings B907E0404. Sorry, no top compression rings. 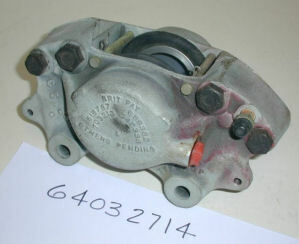 NOS AC fuel pump body; two pieces. 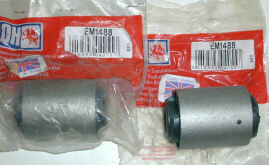 These are original "Made in England" parts for the original glass-bowl TwinCam fuel pump. 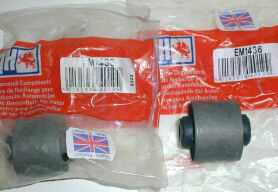 NOS Ferodo DS11 brake pads FDB535 will fit Jensen Healey, some Cortina Mk2, late Triumph Spitfire. Backplate dimensions about 2.5" x 2.5". Fits TR3 and early TR4, rim width 1-3/8"
ColorTune is a test spark plug with a high-temperature glass window in the center which actually allows you to look into the engine as it is running and analyze the combustion flame for color and other appearances. Since different air/fuel mixtures burn with different colors you can quickly tell if your engine in running rich (yellow flame) or lean (white flame). A correct 14.7:1 air to fuel ratio burns with a blue flame. ColorTune installs temporarily in place of one regular spark plug. Start the engine and observe the color, then adjust the carburetor mixture until a blue flame is seen. Repeat this procedure to synchronize multiple carburetor installations. ColorTune takes the guesswork out of carburetor tuning. ColorTune can be used on any two or four-stroke, carbureted or fuel injected, gasoline or propane engine. 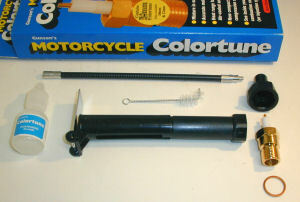 This Colortune has 12mm threads for use on motorcycles with 12mm spark plug threads. 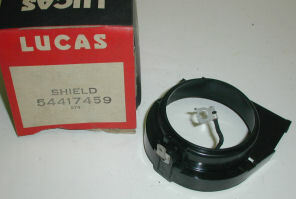 Focusing lens; looks new but the mounting tab end may be damaged. 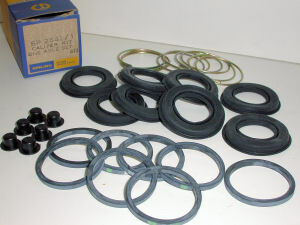 NOS original Girling rear caliper kit containing seals, dust boots and dust boot retaining rings for two calipers. 36mm bore, four piston caliper. NOS original Girling front caliper kit containing seals, dust boots for two calipers. 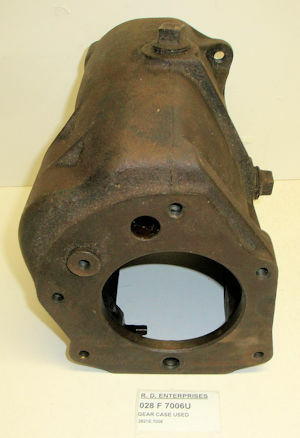 38/54mm bore, three piston caliper. 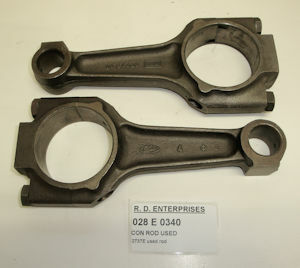 Rampipes for 1-1/4" SU carbs as fitted to early BMC engines. 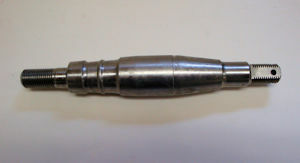 Actual throat diameter measures @ 1.335" (slightly over 1-1/4"); overall height measures 1.330". Fits cars with DeDion rear axle. Sorry for the previous confusion in my description for this part, and thanks to John Donohoe for his assistance. Complete kit in very good condition; only the box lid is damaged. 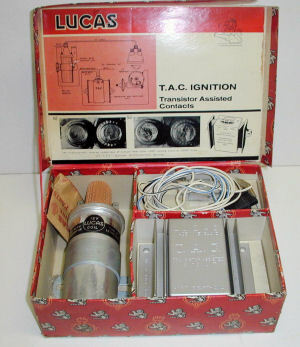 I believe that this ignition was used on some British motorcycles but may have had more applications. Please note that it is clearly marked "Positive Earth Only". 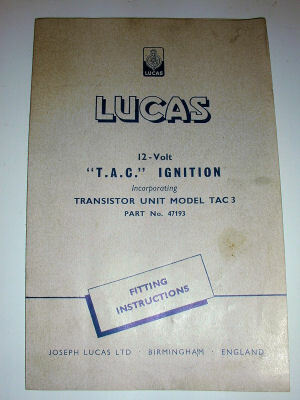 Sorry but I just don't know much about this early Lucas electronic ignition. Ref. 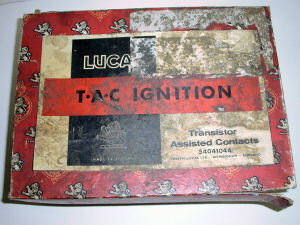 LU-54041044 Lucas TAC Ignition Kit ?$ Make offer! 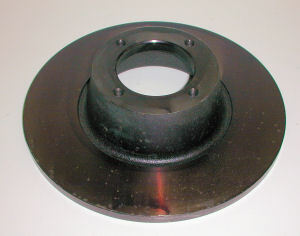 New TR7 brake disc. Very good condition, not rusted. 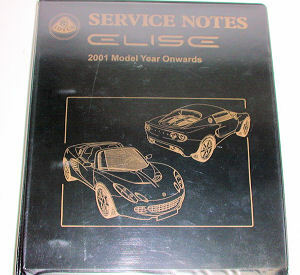 Some Alfa Romeo, Audi, BMW, Datsun, Honda, Toyota and VW applications. Fits 17mm shaft, pulley OD 2.700"
Drive-end bush for some M35G starters. 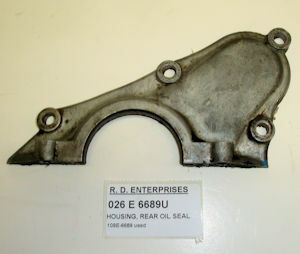 Obsolete part. 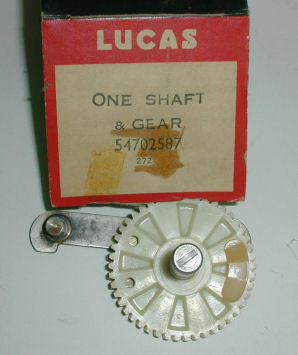 NOS gear and shaft assembly, fitted with Lucas wiper motor 75754 for Lotus Europa 1969-74. Gear is marked 110-degree. 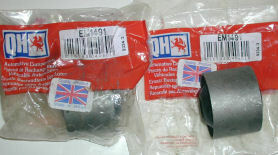 Genuine NOS Lucas England part. 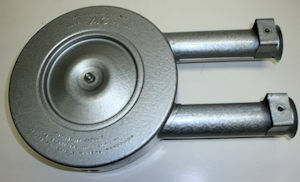 Distributor shield with low tension lead was originally used on Jaguar 22D and 25D distributors. Genuine NOS Lucas lamp "Made in England." 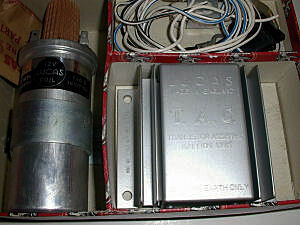 Flasher lamp (single filament bulb) was fitted to 1967 Triumph Spitfire Mk3 and maybe others. 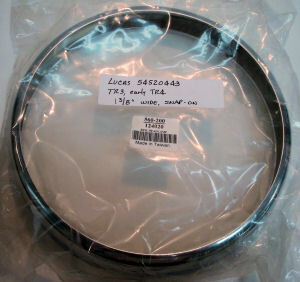 Rubber gasket for 56790 license lamp. 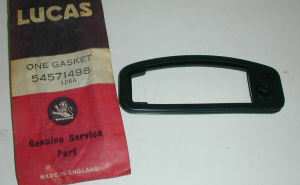 Genuine NOS Lucas "Made in England" part, not a reproduction.